Facebook/Hallie Breaux MalletSecurity footage posted to Facebook by Hallie Breaux Mallet. 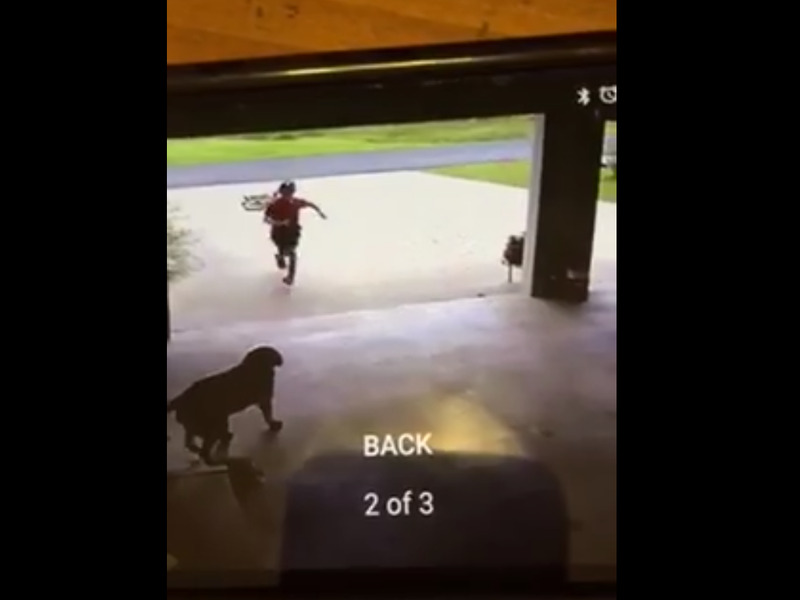 It’s the world’s most adorable case of breaking and entering: Two weeks ago, Hollie Breaux Mallet posted a video on Facebook showing a boy running into her garage, hugging her dog Dutchess, then running away, apparently afraid he’d be caught in the act. Apparently, the boy did this quite regularly, and Mallet just wanted to identify him to let him know that he could stay and play.